One of the biggest buzzwords of the last few years when it comes to social media marketing, and in particular video marketing, is: going viral. Although going viral should in no way, ever become the main objective of a video marketing campaign, the phrase itself seems to have exploded. Marketers have been bombarded with so many statistics trying of the valuable benefits of video marketing. It has been reported that in 2017, video marketing currently accounts for over 69% of all traffic driven by consumers, video ads on mobile devices will expand up to 5 times faster than ads on desktop devices and that landing pages on websites that incorporate videos can lead up to 800% more conversions. This statistics like these, it is hard to ignore just how powerful video marketing can be for businesses to drive sales, increase audience engagement and create a community of devoted followers for your brand. There is no better time than the present to master some of the best practises to ensure that your brand’s video marketing campaign exceeds your projected objectives and drives your social media campaigns towards success. We will explain our best tips to help you create the most fascinating, inspiring and actionable online marketing videos. Live video streaming is one of the most advantageous opportunities for brands to forge real connections with their viewers and customers in a prospectus, tangible way. Once you have established how to effectively use livestreaming in your existing marketing campaign, the next course of action is to push your audience to your email list. A brand’s email list is one of the most powerful building blocks to constructing real relationships and ultimately grow your business. You can drive your audiences to your email list by offering something for free, and exclusive, for signing up. These exclusive offers can be anything from the talking points of your live video stream, checklists or even a discount to an item or service that you offer simply for signing up. It is also important to share the signup link for the email list both in the description and in the comments of the livestream, and be sure to remind your audience of it throughout the live broadcast. To further optimise this process, with the help of an abundance of free online tools, you can create an autoresponder email that will automatically send all new subscribers all of the free content when they opt to going to email list. 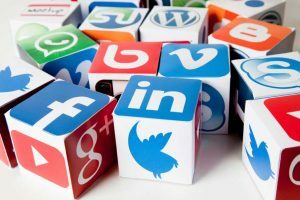 Social media platforms and their functions are constantly evolving and so are the users expectations and preferences for the type of content they want to see on these various channels. When it comes to Facebook marketing, marketers and brands cannot go about business as usual and rework the same techniques. Your brand must create content that Facebook users, and your brands followers, prefer, and there is no doubt that right now this content is in the form of recorded and live video streams. There are so many free, or low-cost, tools that brands can utilise to ensure that their recorded and live video broadcasts not only look professional, but will help them stand out from the crowd. Animoto – This service helps businesses to create professional videos and slideshows. It includes a range of commercially licensed music, storyboards, voice-over features and even features a square video format for social platforms such as Instagram. Adobe Spark – This service offers a range of visual themes, text overlays and free music all on a mobile app to help brands create videos on the go. Animatron Wave – This services gives brands the opportunity to choose from millions of royalty-free video clips, audio clips and photos. It also offers the function of perfectly resizing videos to be optimised for social platforms such as Facebook, Instagram, Twitter and YouTube. Be Live – This service allows brands to add text to the lower portion of the screen and can show questions from the audience during a live broadcast. Flixel – Brands can include motion to their photographs and create stunning timelapse videos. In order to have successful Facebook Live broadcasts, your brand must create, build and maintain an audience and following. Here is our step-by-step plan to put in place in order to increase your brand’s viewership on live broadcasts. Construct a promotional calendar that can be put into motion at least 10 days before the chosen day of your broadcast. 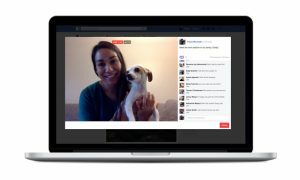 Choose and research your topic for the Facebook Live broadcast. Devise a checklist, resource guide or plan that your viewers will receive after they have elected to subscribe to your brands emailing list. Create an personal autoresponder sequence that will automatically administer your viewers with your chosen checklist, resource guide or plan. Generate images to apply to social posts and content that will help to drive audiences to your brands livestream. Implement and post your social promotions based on your promotional calendar. On the day of the broadcast, be sure to share promotional posts across all social media platforms. Create and post an Instagram story, send a reminder to your email list, and post a reminder on Facebook 10 minutes before the broadcast begins to remind your audience that you are going live. Ensure that your broadcast is live for a minimum of 30 minutes. Due to Facebook algorithms, the platform will be more likely to share longer, and quality videos in users news feeds more often. Be sure to share the links, and mention the email subscription signup form during the broadcast. Utilise and implement paid Facebook ads to promote the broadcast and increase the outreach to audiences. Level 2: Using your mobile device with the addition of a gear like microphone. 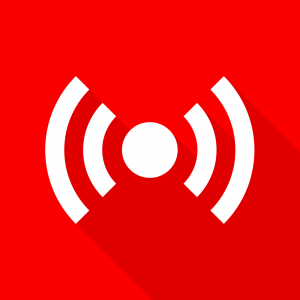 Level 3: Broadcasting a livestream from a desktop computer and utilising a specialised software such as Wirecase that will allow you to display your logo on the screen and has added features such as displaying titles and permitting side-by-side interviews. Level 4: Broadcasting a livestream that is TV-quality. These broadcasts use a studio, professional graphics, professional lighting and professional audio. Should you want to utilise a livestream broadcast to promote our brand and implement your video marketing campaign, use these guidelines and aim to work your way up. 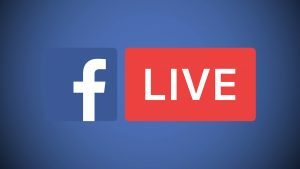 By investing your time, effort, the right resources, equipment and tools, you can create a professional Facebook Live broadcast for your brand that will attract audiences. 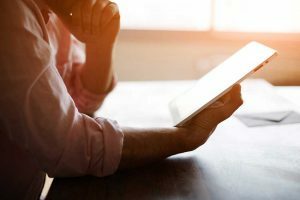 In the digital age that we live in, it is not hard to notice the ton of sales clutter that is flooding the internet and social media channels. These obvious sales ploys are not only annoying customers, but they are also actively repelling customers. 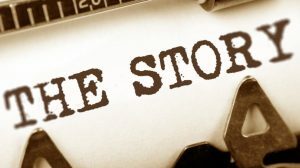 It is so important now more than ever to ensure that your video marketing campaigns are centered around telling a story rather than the sale. These are based around the same rules that apply for any written content that is apart of a digital marketing campaign. The focus should be on providing valuable and relevant content to your audience. Video is one of the quickest way to evoke an emotional response from your audience, so make the most of this power of videos and appeal to your brands customers needs, desires and provide solutions to their problems. Studies has shown that 1/5th of viewers will click out of a video within the first 10 seconds or less. Video and digital marketing experts from around the world recommend keeping your video and the points of discussion short and to the point. One of the best ways to achieve this is to get to the point and manage the audience’s expectations of the remainder of the video within the first 5-10 seconds. You can spark curiosity with your audience simply by asking a question or using teasers of what else is to come in the remainder of the video to grab their attention immediately. Ideally, your video should instantly express the value that it will provide and answer the audience’s question of ‘why should I watch this?’ and ‘how will this assist me?’. It doesn’t matter if you have created and invested your resources to create the best video for your brand, it will ultimately be useless if it cannot be found. Here are some of our best tips for your marketing video to improve its SEO and help get your video and website found. One of the first actions that you can take is to enable embedding in your video. This will ensure that you can improve the possibility of gathering inbound marketing links. Inbound marketing links, also known as backlinks, are those that link to other various websites that will assist in directing customer and search engines alike back to your brands webpage. 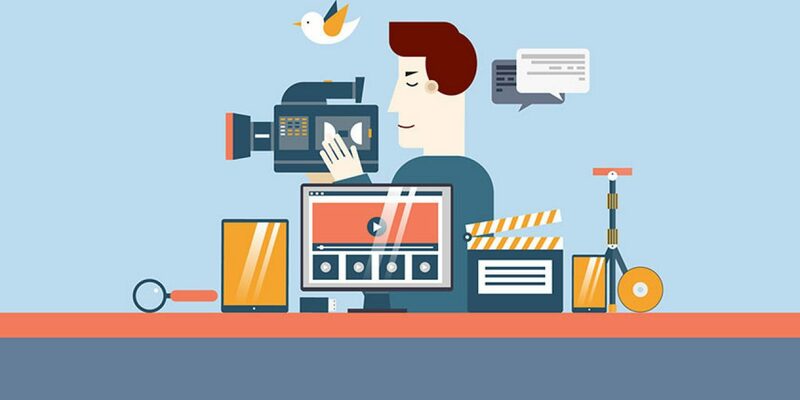 The video itself is one of the most important ranking factors for SEO. Essentially, the video is determined by search engines of evidence of quality content as well as being a part of a dynamic media mix on the website and this sends signals to search engines such as Google that your website includes rich media that would be relevant to search requests. By providing relevant information to search engines, you will help them to identify your video content as a relevant search results. Think of this in the same way you would label graphics and pictures to further explain and categorise content. When you include keywords for text SEO in fields such as the title, file name, descriptions and tags to describe your video, it will ensure that the importance of your video is clear to search engines. By including a transcript of the audio for your video it will improve how easy it is to find your video and will provide further support to the videos relevance for any search requests. YouTube is the second largest search engine in the number of search queries that requested, only behind Google. It is also important to remember that Google owns YouTube – we will leave this up to you to draw your own conclusions about what this means. Although there are some experts that it is within your brand’s best interest to host the video on your own website, however, in terms of universal search results and especially for smaller businesses, the exposure that videos receive on YouTube, it is more likely to trigger secondary actions and thus be more beneficial for your brand. There is also the additional benefit of having not having to risk overloading your website resulting in slow load times. 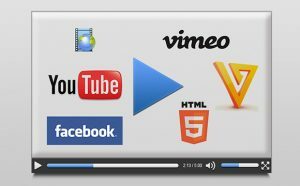 When it comes to SEO for videos, there are only few things that are as important as the description. Descriptions are helpful for search engines as it allows their spiders, or crawlers, make sense of the video and helps these spiders to understand what is in the content of the video. Be sure that the description of your video is tagged with all relevant keywords for your brand, the product or service and your specific industry, including unique titles. The golden rule to keep in mind: if it has a box, it has a purpose. Google prompts you to fill these out in order to help you rank higher in search results. Studies has shown that 65% of audiences on social media are visual learners, and if you are not utilizing visuals, then you could possibly be missing out on a large chunk of your potential audience. One of the most effective methods that your brand can utilise for video marketing is to educate your audience and followers.